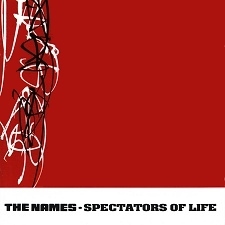 Belgian post-punk band The Names are best remembered for a string of superior singles and an album on the Factory and Crépuscule labels between 1980 and 1982, all produced by Martin Hannett. This archive collection includes all three tracks from the rare debut 7" from 1979, plus 10 live tracks recorded between 1979 and 1981, of which 8 are songs never studio-recorded. The earliest of these gigs, a Belgian radio concert, features Nothing To Fear, Memories and a version of the classic Factory single Nightshift. The show from Oostakker from summer 1980 includes Questions And Answers, Other Enquiries and I Wish I Could Speak Your Language. Also included are two Crépuscule compilation tracks (Tokyo Twilight and Ballade a Tervuren), and the TWI 111 b-sides Shining Hours and Revenge. Two outtakes from the later Jazz project also appear, including a cover of I'm In Love With a German Filmstar, originally a hit for The Passions in 1981. Available on CD and download. CD runs for fully 73 minutes and has been digitally remastered from the original master tapes. Booklet includes recording details and biographical notes. Original artwork by Benoît Hennebert.